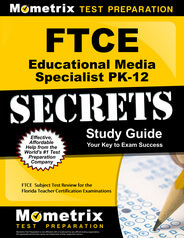 If you are wishing to become an educational media specialist in the state of Florida, you must pass the 120 multiple-choice question FTCE Educational Media Specialist PK-12 test. Here at Mometrix, we have dedicated our time and efforts to research the FTCE Educational Media Specialist PK-12 test extensively. 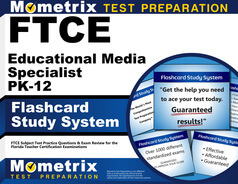 Due to this research, we have crafted the FTCE Educational Media Specialist PK-12 practice test. This practice test will comprehensively address the main themes of this test, such as: Professional organizations; Teaching and learning principles; Instructional partner responsibilities; Teaching methods for implementing multiple literacies; Methods for teaching design and production of various types of media; Staff development; Information specialist responsibilities; Resources for the learning community; The development of a school library media program; Procedures to assess and evaluate the effectiveness of a school library media program; Planning a budget; Staff and volunteer supervision; Policies and procedures; Creating an active learning environment; Advocating an effective school library media program; Collection development; Organizing and maintaining resources; Interpersonal skills; State and national legislation; Professional trends and issues; Research related to the school library media program; Professional ethics; Providing diversity and equity; Integrating technology in education; as well as reading research and strategies. 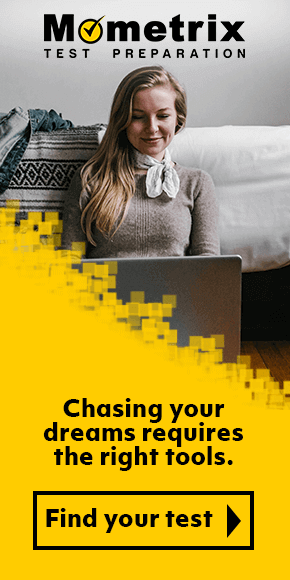 This free practice test, partnered with our FTCE Educational Media Specialist PK-12 study guide, will ensure you improve your chances of passing the FTCE Educational Media Specialist PK-12 test. Mometrix Academy is a completely free resource provided by Mometrix Test Preparation. 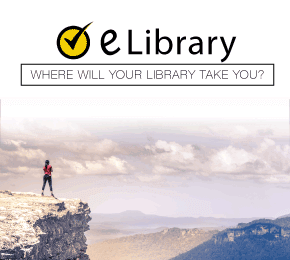 If you find benefit from our efforts here, check out our premium quality FTCE Educational Media Specialist PK-12 study guide to take your studying to the next level. Just click the FTCE Educational Media Specialist PK-12 study guide link below. Your purchase also helps us make even more great, free content for test-takers.